On December 13, 1921, the day of his first solo exhibition in Paris, Man Ray purchased an ordinary flat iron, a box of tacks, and a tube of glue. 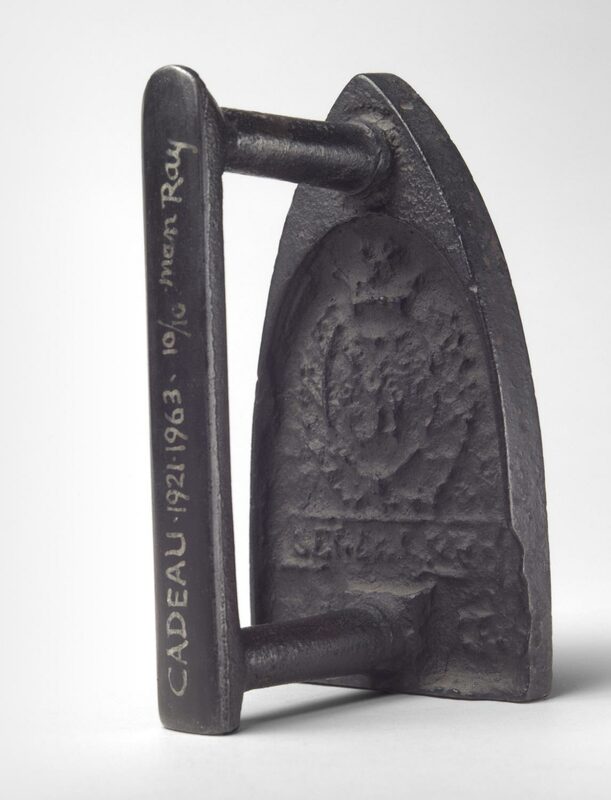 He glued the tacks onto the iron, titled it Cadeau, and added it to the exhibition. 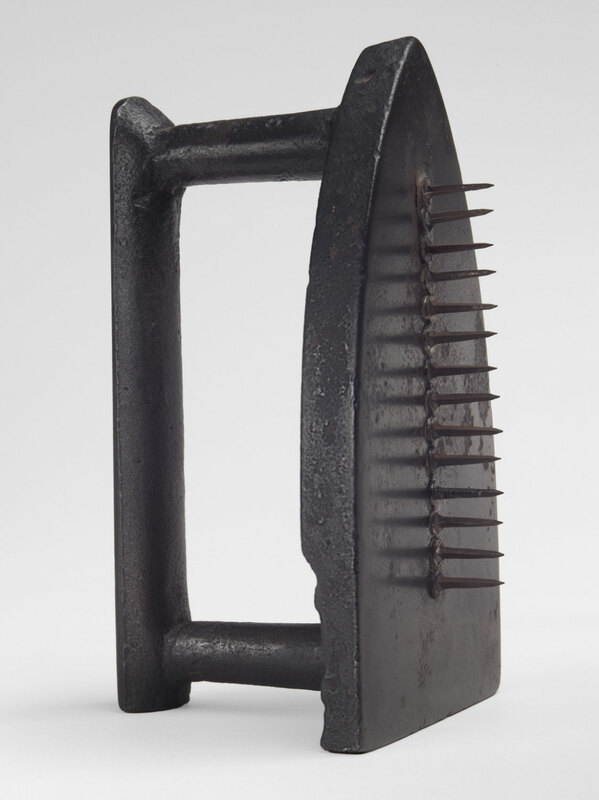 This iconoclastic object exemplifies Man Ray's emphasis on the juxtaposition of two completely unrelated elements in his assemblages, which he explained were "designed to amuse, annoy, bewilder, mystify, inspire reflection, but not to arouse admiration for any technical excellence usually sought or valued in objects classified as works of art."